Restore and encourage the vitality of your eyelash’s and brow lines without using harsh chemicals or experiencing undesirable breakage. 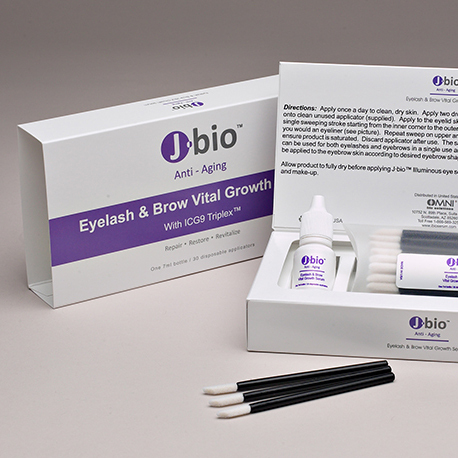 By naturally encouraging hair matrix production with growth factor activation, it allows the hair’s own follicle to to create the stronger, denser and darker eyelash and eye brows in less than four weeks. Apply twice daily, (morning and evening) to clean, dry skin. 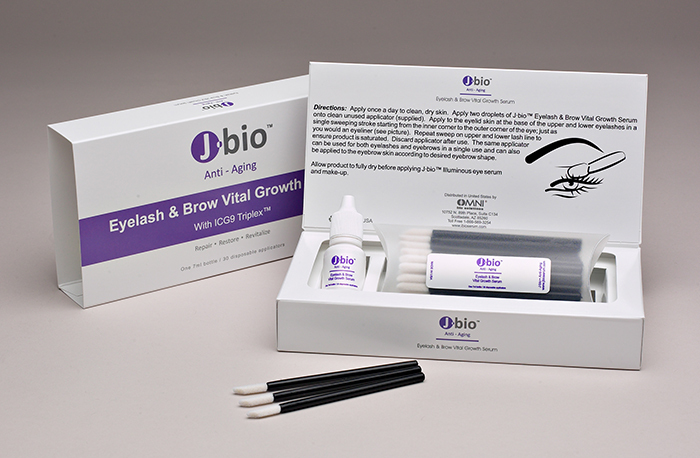 Apply Two droplets of J•bio™ Eyelash & Brow Vital Growth Serum onto a clean, unused applicator (supplied). Apply to the eyelid skin at the base of the upper and lower eyelashes in a single sweeping stroke starting from the inner corner to the outer corner of the eye; just as you would apply eyeliner. Repeat sweep in the upper and lower lash line several times to ensure product is saturated. Discard applicator after use from second daily application. The same applicator can be used for both eyelashes and eyebrows in a single use and applied to the eyebrow skin according to desired eyebrow shape. Not intended for use on any other body region. Allow product to fully dry before applying J•bio™ Illuminous Eye Serum and makeup.